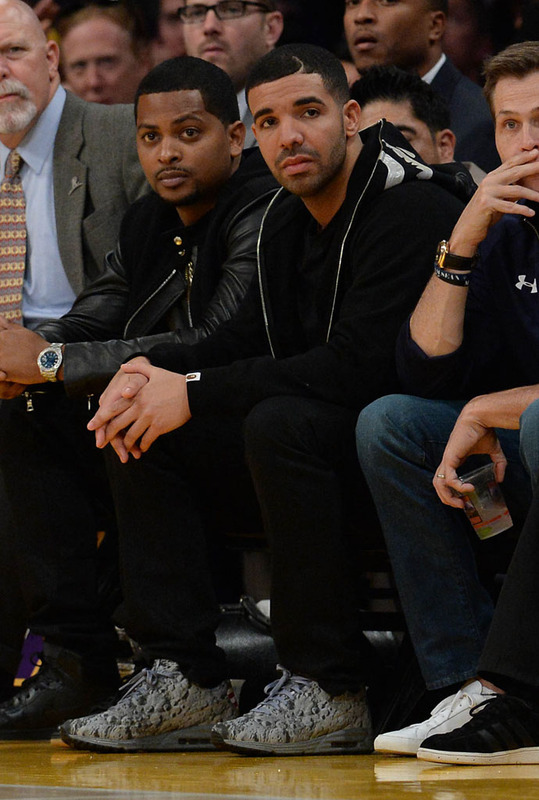 With his squad in town, Drake sat courtside at Staples Center last night. With his squad in town, Drake sat courtside at Staples Center last night, when the Los Angeles Lakers hosted the Toronto Raptors. While exchanging a little banter with Kobe Bryant, October's Very Own was laced up in the 'Moon Landing' Nike Air Max Lunar90. The shoe released back in July to commemorate the 45th Anniversary of Neil Armstrong becoming the first man to walk on the moon. Is the 'Moon Landing' Air Max Lunar90 one of the year's best releases?